Chris Carberry is the CEO and co-founder of Explore Mars, Inc. a nonprofit space advocacy organization that was created to advance the goal of sending humans to Mars within the next two decades. Carberry is a well-respected expert and influential director of strategic alliances in the space community and has been responsible for growing many partnerships, grants and sponsorships for leading industry organizations. Currently, as CEO of Explore Mars, he acts as the main liaison for efforts and project ventures. Prior to joining Explore Mars, Carberry served as Executive Director to The Mars Society. In his early career, he acted as a member of the Steering Committee where he organized congressional outreach efforts around the country. He also played a leadership role in congressional outreach events such as the 2007-2017 Space Exploration Alliance Legislative Blitz and has coordinated numerous briefing panels and other events on Capitol Hill over the past two decades. In more recent years, he has organized and led successful international conferences including the ISS and Mars Conference in Washington, D.C. and Strasbourg, France, and the Women and Mars Conference in Washington, D.C. In 2012, he represented Explore Mars as a delegate to the Mars500 Symposium in Moscow, Russia, and in 2013, he spearheaded the annual Humans to Mars Summit in Washington, DC that has become the largest annual conference in the world focused on sending humans to Mars. Carberry also helped to launch the Get Curious Campaign in 2012 and the Humans to Mars Report starting in 2015. Carberry is also a co-founder and co-chair of the Mars Achievability and Sustainability workshop series, and he recently launched the 1st AR/VR and Space workshop series. In 2018, under Carberry’s leadership, Explore Mars will also launch programs in Europe and the United Arab Emirates. Carberry has presented both oral and written testimony to Congress and has contributed positioning work dealing with space exploration for the Republican Party’s National Platform in 2000. He is the author of scores of articles and Op-Ed pieces that have appeared in such publications as USA Today, US News and World Report, Huffington Post, The Washington Post, San Jose Mercury Times, Foxnews.com, Houston Chronicle, The Hill, The Telegram (UK), The Boston Herald and many other publications. He has been featured on national and international television and radio programs such as NBC Nightly News, Fox News, CNN, BBC World, and NPR and is frequently asked for commentary from print news outlets around the world. Prior to his space career, Carberry worked as an archivist of modern political papers and was research assistant for numerous best-selling biographers. Artemis has been a lobbyist for various causes and organisations for 37 years, starting with a successful lobby for her grammar school when 17. Since 2000, Artemis has been involved in space exploration advocacy, as President of the Mars Society Netherlands and Steering Committee member of The Mars Society Inc. After serving as crewmember in a number of MDRS (Mars Desert Research Station) crews and consequently as CapCom for MDRS and FMARS (Flashline Arctic Research Station), also as logistics manager, for the 4 month FMARS crew in 2007, Artemis took on the responsibilities of Mission Director, managing the MDRS since August 2008, which she turned into a financially independent and self-sufficient project. She intends to establish a European Mars analogue station, in which design she has been involved from the start. Artemis has organised (inter)national conferences since 1980, among which several conferences for the Mars Society in the Netherlands and Europe. Her former employment includes management in technological multinationals such as Honeywell and THORN EMI in public affairs and business administration, and president of the Council of Women for Rotterdam. Artemis is a nationally decorated feminist in her home country and started her feminist career as member of the Dutch government delegation to the UN conference on the status of women, Copenhague 1980. In the Netherlands Artemis is often spokesperson for the space community when Mars is in the Media. She has been quoted in numerous national and international newspapers and magazines and has appeared on national and international television and radio. Rick Zucker, who is currently Vice President, Policy, for Explore Mars, Inc., joined the organization in March 2013. Rick is a leader in space advocacy, and he has also written, co-authored, and/or edited numerous articles/OpEds on space policy/space advocacy. Since 2008 and continuing to the present day, Rick has chaired the “Legislative Blitz”, a grassroots visit to Washington, DC by the Space Exploration Alliance, a collaboration of non-profit space advocacy organizations. Rick also chairs Explore Mars Inc.’s grassroots visits known as “Mars Day on the Hill”. He is a member of the Development Team for the Humans to Mars Report, an annual report that provides a comprehensive analysis of progress in the technical, political, and scientific fields, as well as in public perception, relative to the human exploration of Mars. Rick is also a participant in the Mars Affordability and Sustainability Workshops, including serving as one of the three senior editors for the reports generated by the second and third workshops (held in Pasadena, CA in October 2014 and in Washington, DC in December 2015, respectively). Prior to joining Explore Mars, Inc., Rick served the National Space Society (NSS) in many capacities, including Executive Vice President, Chair of the Policy Committee, and as a member of the Board of Directors. Rick also served the NSS as its Vice President of Public Affairs, Chair of the Policy Implementation Subcommittee, and as a member of numerous other committees. 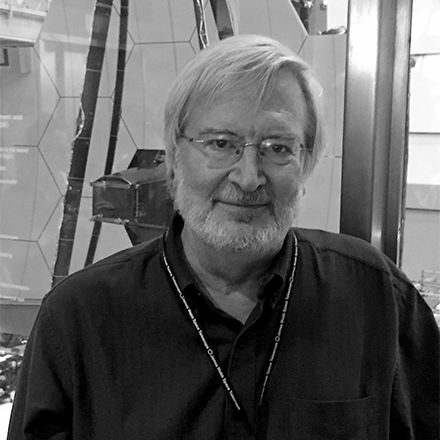 In recognition of his efforts on behalf of the Society, Rick received the Society’s 2008 Chris Pancratz Space Activist of the Year Award and its 2010 Award for Excellence. Professionally, Rick is an attorney who is licensed to practice law in Massachusetts, New York, and the District of Columbia. He is an experienced trial and appellate attorney, with over 30 years in private practice. Rick received his law degree from New York University School of Law and his undergraduate degree in Politics from Brandeis University. Janet Ivey, creator and CEO of Janet’s Planet is committed to enriching the lives of children via education and live performances, TV, and online programming. With over 27 years in the children’s edutainment and space science outreach sector, Janet has captivated Nashville and beyond with her work. Her first Tedx Talk was in 2014 entitled, AWE,(Art, Wonder and Experiential) Inspired Science, her second Tedx Talk will happen May 3rd, at the Weiss School, entitled, “How To Inhabit Your Very Own Planet, #PlanetYou.” She has received 12 Regional Emmys, five Gracie Allen Awards, for her children’s series Janet’s Planet that airs on 140+ public television stations nationwide. 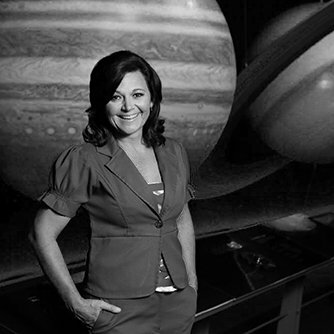 Most recently Janet joined the Board of Directors for Explore Mars, she is an active NASA JPL Solar System Ambassador, on the Board of Governors for the National Space Society, the Educational Director of the Midsouth Chapter of NATAS, (National Academy of Television Arts and Sciences) recipient of the New World’s Institute’s inaugural Permission to Dream Award in 2016 and has won a STEM-FLORIDA Award for “Exploring Microgravity,” an educational video about gravity and microgravity, she wrote and produced for Space Florida. Janet’s Planet is a dynamic and fast-paced series is geared to 5-10 year olds and focuses on science, space, history and exploration. The short form series can be seen also on streaming sites, YouTube, BatteryPop, Club Jelly Telly and HighBrow in the UK. Her mission is simple, amplify the love of space, science and exploration and to encourage this generation that MARS is theirs. Gary Fisher serves as Treasurer, as well as a member of the Board of Directors, of Explore Mars, Inc. His qualifications include a BS and MS degree in Industrial Engineering from Lehigh University. He has worked as a systems analyst, and database administrator for Control Data Corp., Texas Instruments, and Unisys, and for many years held a second job as bookkeeper to a medical practice. In 2000 he started The Optical Boutique, Inc., an optical shop. In 2004-2005 he served as Executive Director of the Liberty Eye Surgery Center in Philadelphia, PA. In 2006 he helped start the ophthalmology practice, Valley Eye Professionals LLC. In 2007 he was a founder of Lift-Off Technologies Corp, an invention development company, and since 2008 has been the Administrator of Valley Eye Professionals, LLC. 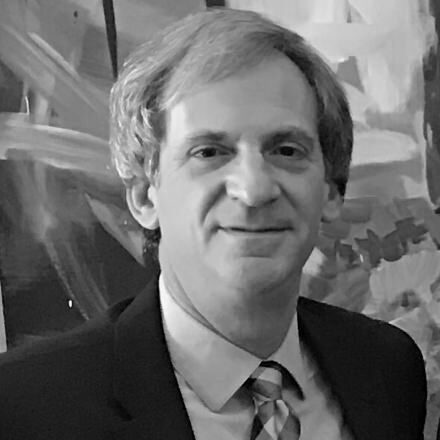 His prior nonprofit experience includes serving from 2008 to 2010 as Treasurer of the Mars Society, Inc.
Debbie Cohen is the Director of Finance and Operations of Explore Mars. She brings over 30 years of nonprofit and small business financial management/accounting experience to her position, including 14 years of experience in the financial services industry, over 13 years of experience in the administration of 501(c)(3) organizations, and 12 years of political/government experience. Her particular expertise is in the developmentand implementation of financial and operations systems for small nonprofit and for-profit business entities. In addition to her duties as Director of Finance and Operations, Debbie also provides ongoing operations management assistance to the Explore Mars staff, and helps to coordinate operations and logistics for Explore Mars events, including serving as Deputy Co-Chair for the annual Humans to Mars Summit. A dedicated advocate of space exploration and development, she worked with the National Space Society from 2010 through 2013, where her positions included Associate Director, Operations Manager for the 2012 InternationalSpace Development Conference in Washington, DC, Chair of the Public Relations Committee, and Public Relations Director for the 2011 International Space Development Conference in Huntsville, Alabama. Professionally, Debbie owns a business management and financial consulting practice serving nonprofit and for-profit small businesses, sole proprietors and high-net-worth individuals. Her nonprofit clients have included public policy foundations, schools and grassroots advocacy organizations in Washington, DC. In the course of her nonprofit career, she held various senior management positions in the areas of administration, operations and development for three non-profit public policy foundations in Washington, DC and has served on the boards of trustees/directors of several more. Debbie’s corporate finance experience includes serving as Director of Finance for Columbia Books & Information Services, the publisher of the original U.S. Congress Handbook, as well as numerous other products for the government relations, trade association and nonprofit business sectors; Chief Financial Officer/Finance & Operations Principal for Scully Capital Services, a boutique investment banking firm arranging finance structures for large-scale environmental, energy and transportation industry projects; and Chief of Staff for Clifford Brody & Associates, a Washington, DC firm providing legislative and regulatory consulting services to major US banks. Her political experience includes serving as a Legislative Assistant for the Western Hemisphere Affairs Subcommittee of the U.S. Senate Foreign Relations Committee, working on two presidential campaigns, and the aforementioned public policy organizations. Blake Ortner has been a strong Mars advocate since before 1999. He currently serves as the Deputy Government Relations Director for Paralyzed Veterans of America in Washington, DC where he is responsible for federal legislation and government relations, as well as budget analysis and appropriations. He has represented PVA to federal agencies including the Department of Labor, Office of Personnel Management, Department of Defense, HUD and the VA. His current focus is on Veterans health care and benefits. In addition, he is PVA’s representative on issues such as Gulf War Illness, Deployment Health effects and coordinates issues with other Veteran Service Organizations. As a member of The Mars Society (TMS), he conducted significant volunteer advocacy for Human Exploration of Mars and the need for Heavy Lift Vehicles if the United States wishes to be a true space faring nation. He served as the Director, DC Working Group in leading advocacy efforts in support of Mars exploration. He also served as the coordinator and Conference Director for both the 2006 Washington, DC Mars Society Convention and the 2009 University of Maryland – College Park Mars Society Convention. In addition to his work for PVA and TMS, he is a military officer. He originally served on Active Duty with the 9th Infantry Division and the Army’s elite 2nd Ranger Battalion. He continues his military service as a Brigadier General in the Virginia Army National Guard. 2001-2002, as Chief of Operations for Multi-National Division North for the SFOR 10 peacekeeping mission to Bosnia-Herzegovina 2004-2005 he commanded an Infantry Battalion Task Force in Afghanistan earning 2 Bronze Star Medals 2007-2008 he served in Iraq as the Chief of Operations for Multi-National Force – Iraq earning a Bronze Star Medal and a Joint Commendation Medal. Additional awards include the Legion of Merit, Combat Infantryman’s Badge, Combat Action Badge, Ranger Tab, Military Free Fall Parachutist Badge and the Parachutist Badge. Currently serves as the Division Commander for the 29th Infantry Division in Virginia. Joe Webster is an attorney in private practice with a law firm in Washington, DC, where he has practiced law for 15 years. During that time, he has gained extensive experience crafting policy positions and documents, as well as lobbying both the Executive Branch and Congress. On the space policy front, Joe has helped to develop policy and advocacy positions for both the Space Exploration Alliance and the Mars Society. He also has participated in a number of space policy legislative “blitzes” over the years. Joe served as a JAG officer in the Army Reserve and is a veteran of both Operation Iraqi Freedom (2006-07) and the Gulf War (1990-91). Rich Phillips is a member of the Board of Directors of Explore Mars, Inc. For more than 20 years, Phillips has worked with our nation’s leading companies and political leaders to help build leadership positions for companies, products, issues and ideas. Phillips is president of Phillips & Company, a management consulting firm that helps leading companies achieve sustainable revenue growth through strategic communications and business development campaigns. With a focus on space technology, homeland security, mobile computing, telecommunications and green technology, Phillips & Company helps organizations own the issues driving their respective markets through public relations, integrated marketing, business development, brand positioning and public affairs. Phillips is currently Executive Director of the Next Step in Space Coalition and founder of the Space Economy Leadership Summitseries. Prior to founding Phillips & Company, Phillips served as Chief Communications Officer of Simplified Development Corp., an Austin-based provider of telecommunications software, where he led marketing and communications strategy for North America, Asia and Europe. Prior to Simplified, Phillips served as Director of Corporate Communications at NIC, a leading provider of Government services. In that capacity, Phillips worked directly with state CIOs and other state and local government leaders and associations including the National Governors Association to launch the Government Web Privacy Coalition aimed at ensuring the protection of private data and information. Phillips also directed thefirst benchmark study on citizen and business demand for Government services. Before that, Phillips served as Vice President of the Next-Generation Communications Practice at Cunningham Communication, a communications consulting firm, where he managed accounts for global leaders in telecommunications and Internet technologies, including Sprint Corporation. Phillips has also served as Director of Public Affairs for the Reason Foundation, a national public policy think tank where he was responsible for strategic planning and communications with national media and federal, state, and local government officials. Phillips successfully built strategic coalitions with both opinion leaders and associations in order to advance public policy programs and solutions in transportation, education andenvironmental policy. In 1991 and 1992, Phillips served as Director of Information Services at the Bush/Quayle campaign in Washington D.C. under Ari Fleischer. Phillips also served as a technical advisor for media and information management at the Republican National Convention in Houston, Texas. Prior to joining the Bush campaign, Phillips served as policy development assistant in the Office of Policy Planning at the White House under Jim Pinkerton, Deputy Assistant to the President for Policy Planning. Phillips was appointed to Texas Governor Rick Perry’s Critical Infrastructure Protection Advisory Council with the Texas Office of Homeland Security. He is an adjunct professor at St. Edward’s University New College and a 1997-98 Graduate of Leadership Austin. Phillips moved to Austin in 1996 and is a proud Texas business owner with deep roots in national service. He married his wife Michelle in 1994 and they have three children. Phillips earned a Bachelors degree in Economicswith Distinction from Boston University and a Masters in Public Policy from Georgetown University. Josh Powers is the Deputy Director for Washington, DC Operations for Explore Mars. He has co-chaired the Humans to Mars Summit since 2015. As Senior System Architect at O3b Networks since April 2014, he supports the deployment and operation of a unique medium earth orbit, high-bandwidth, low latency satellite communications system. Previously he spent 16 years as a Systems Engineer for Scitor Corporation supporting U.S. government programs. He is a former Senior Vice President and Senior Operating Officer of the National Space Society and served on the NSS Board of Directors from 2004-2013. He chaired the International Space Development Conference (ISDC) in Washington, DC in both 2008 and 2012 and was a member of the NSS Conferences Coordinating Committee from 2008-2013. Mr. Powers received a B.S. in aerospace engineering from the University of Notre Dame and an M.S. in mechanical engineering at The George Washington University. He lives and works in Northern Virginia.